The Old Testament was Jesus' Bibleand it's all about him. As he explained to the disciples on the Emmaus road, a correct understanding of those Scriptures is vital to our faith and hope. 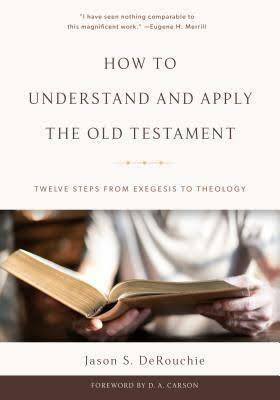 For anyone looking to interpret the Old Testament wisely and well, Jason DeRouchie provides a logical twelve-stage process to deepen understanding, taking us from an analysis of a passage's genre all the way to its practical application. Hebrew grammar, historical context, biblical theologyand much moreare also studied. Learn how to track an author's thought-flow, grasp the text's message, and apply the ancient Word in this modern world, all in light of Christ's redeeming work. Then plunge into DeRouchie's recommended resources to go further in your studies every step of the way.